It’s beginning to look a little like fall around here, both outside and in the kitchen. The leaves are turning and falling just as quickly, and we’ve had a hard freeze in the valley that took out the last of the tomatoes and summer squashes, much to our growers’ dismay. But, we have a great selection of late summer produce for you today: cilantro, tomatoes, potatoes, mixed beets, and rainbow chard. You can’t go wrong with this week’s share! Enjoy! 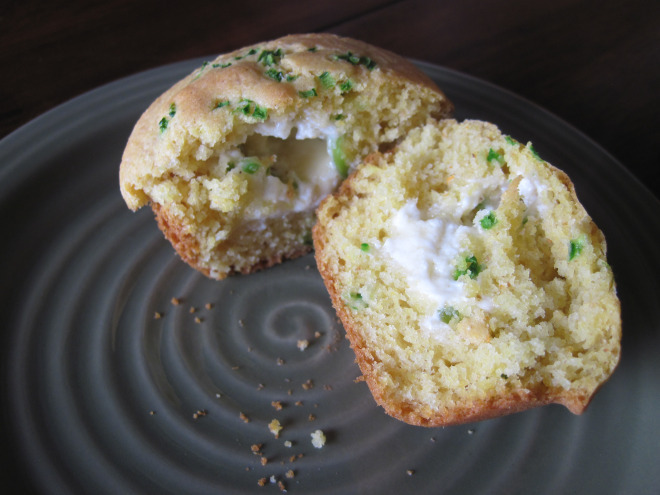 With the parsnips we got in today’s share, I found a recipe a recipe from an old Baker Creek Heirloom Seeds catalog for Sunshine Parsnip Muffins. The recipe called for applesauce, and wouldn’t you know, we got apples in today’s share, too. So I made applesauce–with a twist. We got rhubarb in our fun share last week, so I chopped up the rhubarb, chopped up 1 large apple, and threw them in a small saucepan with about 1/3 cup sugar. I cooked them over medium low heat for about 45 minutes until the fruit fell apart into sauce. It was divine-tasting! And it added a nice touch to the muffins. 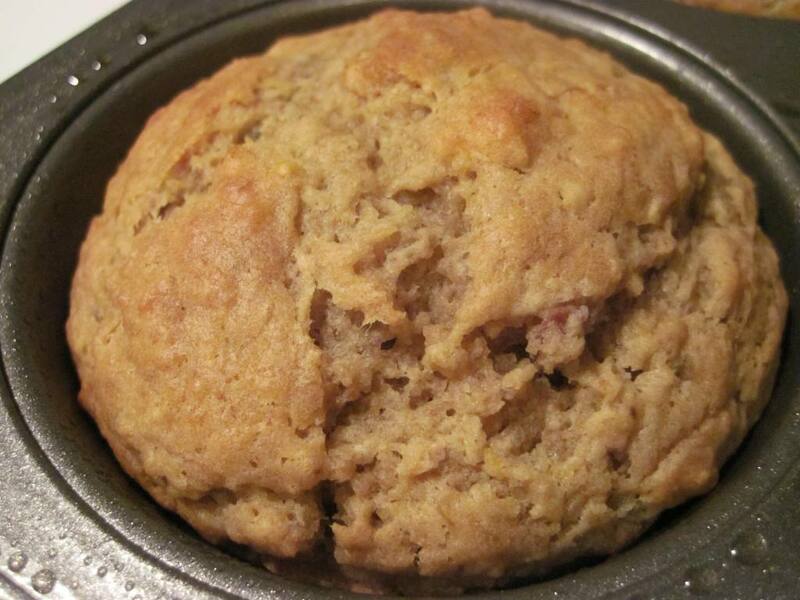 I made a few other modifications to the recipe and came up with a terrific muffin that Hubby raved about. So here’s a delicious way to use up some parsnips. Combine all wet ingredients in a bowl and mix well. Add baking powder, baking soda, and salt. Mix well. The mixture will foam a little due to the reaction of the lemon juice and the baking soda–this helps make the muffins light and fluffy. Add sugar and mix well, then fold in the flour. Pour into greased muffin wells. Bake at 350 degrees F for 25-28 minutes*. *I used giant muffin tins, and got 6 muffins. If you use the normal 12 muffin-pan, you will need to adjust the baking time slightly. 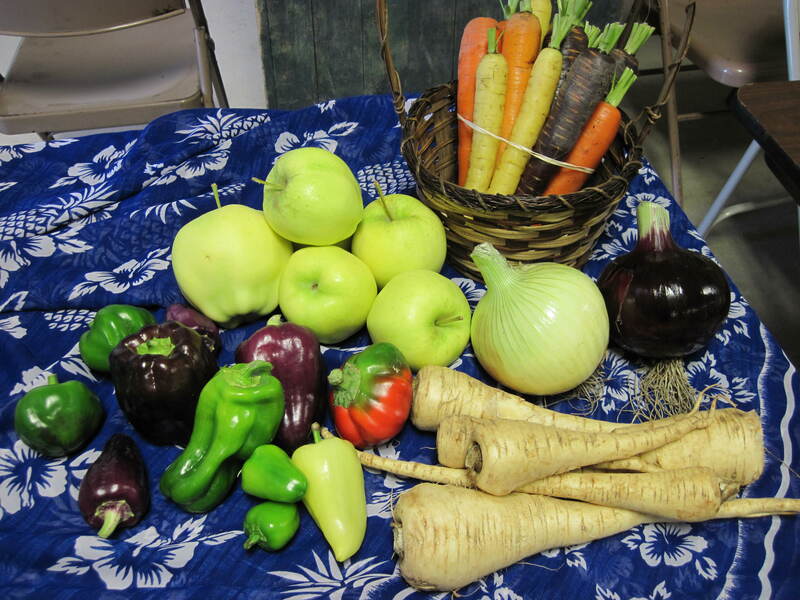 How about a rainbow assortment of carrots, sweet peppers, and onions this week? Then throw in some parsnips and Ginger Gold apples and you got yourself one delightful-looking share! I think a carrot-parsnip soup is in order for this week, and maybe some stuffed peppers. I made jalapeno poppers a few weeks ago, but I suppose there’s no reason why I couldn’t do the same thing with a bunch of tiny bell peppers. 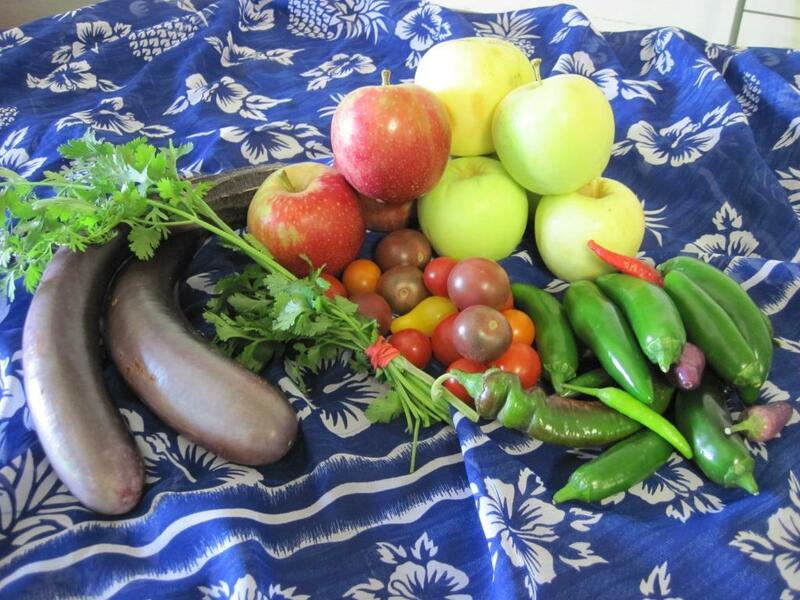 Enjoy this late summer bounty while it lasts! And don’t forget if you want to sign up for our 6 week fall share to get your membership form and payment to us by October 4th! 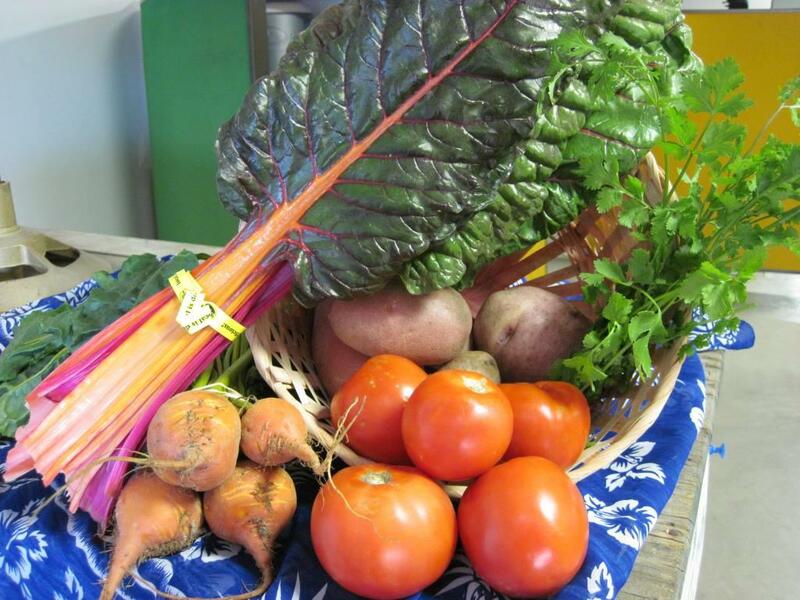 Happy local and seasonal eating! Mixed hot peppers, cherry tomatoes, cilantro? I think a salsa will appear from this week’s share. Or maybe some jalapeno poppers? Hmmm, so many decisions. And eggplant! I will be making eggplant in garlic sauce with this eggplant. The apples will probably get turned into applesauce. I just picked some apples from a neighbor’s tree last weekend and made little hand pies and fruit leather with them. So good! What a beautiful, colorful share this week! Enjoy, everyone!